Why Think More When Sundaram Mutual Fund Is There for Intelligent Investing? Sundaram Asset Management Company is a fully owned subsidiary of one of India’s oldest and most trustworthy NBFCs, i.e., Sundaram Finance Limited. The AMC has a rich experience of 20 years in the fund management. It was jointly promoted by the Sundaram Finance Ltd. And Stewart Newton Holdings (Mauritius) Ltd in 1996. SFL is among one of the largest non-banking financial companies in India with its presence over multiple facets of the financial services industry. The company is headquartered in Chennai and has a strong retail orientation with a wide & strong customer base built on the basis of long-term outperformance in the mid-cap category and an investor-friendly dividend payment policy. 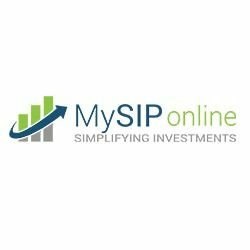 An investor is strictly advised to consult his financial expert or the experts at MySIPonline for the help and guidance on taking the right investment decision. Provides the clear picture of the products offered by the company. The company gives the transparency in its strong investment process. The research methodology of the company is focused very much on the financial needs of the company. The investment process of the company is customer-oriented. Let’s have an inside look at the top performing funds of Sundaram MF, that can be helpful for an investor to analyze the past performance and can get the detailed information about the funds. Sundaram Mid Cap Fund- This fund belongs to the mid cap category of mutual fund. It mainly invests in high growth stocks which are reasonably valued. The performance of the fund is evaluated against its benchmark, i.e., S&P BSE Midcap Index. Sundaram Mid Cap Fund is most apt for the investors who are seeking capital appreciation by making the investment in diversified stocks that are generally mid-caps. The fund has shown the growth of 5.6% in last 2 years. Sundaram Diversified Equity (G)- It is an open-ended equity scheme which was launched on 26 November 1999. The benchmark of the fund is S&P BSE 200 Index. The assets under management of the fund is Rs. 2762.68 Cr (as on May 31, 2018). The fund is managed by Mr. S Krishna Kumar. Sundaram Diversified Equity Fund has returned 11.05% in three years and 21.3% returns in 5 years. It has given the growing returns in just 2 years. Sundaram Rural and Consumption Fund- The scheme aims to generate returns by investing primarily in equity and equity related instruments of the companies who are engaged in rural and consumption business. Its benchmark is BSE 500 Index. The minimum amount of investment in the scheme is Rs. 5000 via lump sum. Sundaram Rural and Consumption fund is an excellent performer in the diversified category. The annualized returns analyzed were 52.30% in one year, 29.7% and 19.90% in three and five years, respectively.